KARACHI: Sources have revealed that Abdul Rehman alias Bhola, the key suspect of 2012 Karachi Baldia factory fire arrested in Bangkok, is a member of Pak Sarzameen Party (PSP). Samaa has obtained a membership farm of Abdul Rehman showing his association with the Karachi-based party led by former Karachi mayor Syed Mustafa Kamal. The form also bears his biodata. Sources said Bhola is former worker of Muttahida Qaumi Movement (MQM) and an employee of Karachi Municipal Corporation’s health department. “He left MQM to join PSP,” our correspondent said. MQM has yet to give its versions over the membership; however, the PSP categorically denied Bhola's affiliation. He was detained by Bangkok police at a hotel in the red light district Nana area, said Thailand's Interpol chief. 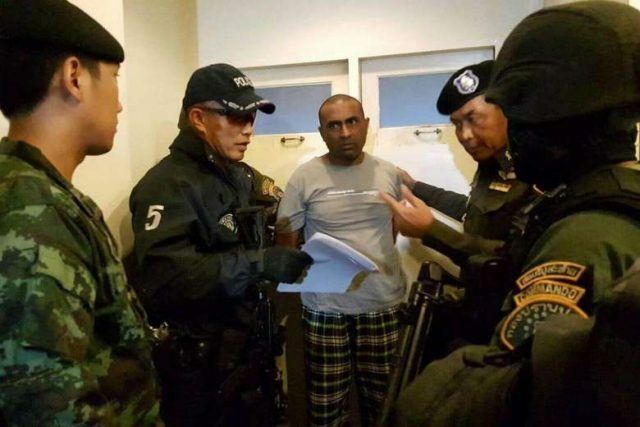 Thai Interpol tracked this suspect following an arrest warrant sought by the Pakistani authorities. He will be repatriated to Pakistan where he is booked in the case. Rehman is suspected of being part of a criminal gang that was extorting the owners of a Karachi garment factory.